Chancellor Philip Hammond presented his first and last Spring Budget to the House of Commons in belligerent form. Despite upgraded forecasts from the Office for Budget Responsibility (OBR), the Chancellor confirmed that he would stick to the government’s fiscal plan, with the stated aim of preparing Britain for a ‘global future’. The Chancellor announced a number of significant measures for UK businesses, including a £435 million package for firms in England affected by the business rates revaluation, with a £50 a month cap on rate rises for those losing existing relief. As the government’s flagship Making Tax Digital (MTD) initiative draws closer, there was also some good news for smaller firms, with the announcement that unincorporated businesses and landlords with turnover below the VAT registration threshold will have until 2019 to prepare for quarterly reporting. However, a rather less welcome measure for the self-employed will see the main rate of Class 4 national insurance contributions (NICs) increase to 10% in April 2018 and 11% in April 2019. Meanwhile, shareholders and directors of small private firms will see a significant reduction in the tax-free Dividend Allowance, which will fall from £5,000 to £2,000 in April 2018. Keen to address the UK skills gap, the Chancellor announced the introduction of new ‘T-Levels’ for 16-19 year olds studying technical subjects from Autumn 2019, together with funding for 110 new free schools and grammar schools. The Chancellor also confirmed the introduction of a new three-year NS&I Investment Bond from April 2017, offering an interest rate of 2.2% on savings of up to £3,000. Under the Chancellor’s new fiscal timetable, the next Budget will be held this Autumn, followed by a Spring Statement in 2018. Within his first Budget speech, Chancellor Philip Hammond reported on ‘an economy that has continued to confound commentators with robust growth’. In its report prepared for the Budget, the Office for Budget Responsibility (OBR) now predicts that the UK economy will grow by 2% this year, as opposed to its previous forecast of 1.4%. Economic growth is, however, expected to slow to 1.6% during 2018, subsequently rising again to 2% by 2021. The Chancellor commented that the steady growth will provide a ‘strong and stable platform’ for the UK economy as Britain enters EU exit talks. Meanwhile, the OBR also revealed that it predicts government borrowing will fall from last year’s rate of 3.8% of GDP to 2.6% this year. The figure is expected to rise to 2.9% in 2018/19, but fall to 0.7% during 2021/22. However, the Chancellor struck a cautionary note and announced a continued commitment to the government’s fiscal policy. Commenting on the UK economic picture, Mr Hammond said: ‘We must focus relentlessly on keeping Britain at the cutting edge of the global economy. Business groups have responded to the key announcements made in Chancellor Philip Hammond’s Spring Budget speech. Commenting on the controversial issue of the upcoming changes to business rates, Mike Cherry, National Chairman of the Federation of Small Businesses (FSB), said: ‘FSB welcomes the fact that the Chancellor has listened to the small business-led campaign on business rates. The £435 million of new money is a direct and much-needed response to those facing astronomical hikes in their business rates. The British Chambers of Commerce (BCC) also reacted to the Chancellor’s business rates announcements: Adam Marshall, its Director General, said: ‘The business communities hardest-hit by this year’s business rates revaluation will breathe a little easier thanks to the Chancellor’s decision to offer a package of transitional reliefs. Meanwhile, the Confederation of British Industry (CBI) welcomed the government’s focus on skills and improving technical education for young people. Carolyn Fairbairn, Director General of the CBI, stated: ‘This is a breakthrough Budget for skills. There has never been a more important time for the UK to sit at the global top table of technical education for young people. The Trades Union Congress (TUC), however, expressed disappointment in the Chancellor’s lack of announcements in relation to the UK economy, Brexit and in-work support: ‘Today the Chancellor missed the opportunity to get Britain match-fit for Brexit by investing in jobs and infrastructure,’ commented Frances O’Grady, General Secretary of the TUC. The Chancellor’s announcements also dissatisfied the Institute of Directors (IoD): Stephen Martin, IoD Director General, commented: ‘The business rates reliefs, while welcome, look distinctly modest at first glance, and there was very little in the Budget to provide incentives for business to invest today when they are already putting projects on hold. In his inaugural Autumn Statement speech, Chancellor Philip Hammond outlined a range of measures to support the economy as the UK prepares to face the challenges presented by the Brexit vote. Mr Hammond stated that the result of the EU referendum ‘makes more urgent than ever the need to tackle our economy’s long-term weaknesses’. He revealed that, as a result of the uncertainty surrounding the UK’s vote to leave the EU, the Office for Budget Responsibility (OBR) have downgraded growth forecasts for 2017 from 2.2% to 1.4%. The Chancellor stated that, while the OBR ‘cannot predict’ the terms of the deal the UK will strike with the EU, the rate of growth over the forecast period is 2.4% lower than it would have been if the UK had voted to remain in the Union. The OBR anticipates borrowing to be £68.2 billion this year, falling to £59 billion in 2017. Mr Hammond also revealed that the government are no longer seeking a budget surplus in 2019/20, but are committed to returning the public finances to balance ‘as soon as practicable’. Business groups have responded to the upcoming changes announced in Chancellor Philip Hammond’s inaugural Autumn Statement speech. Adam Marshall, Director General of the British Chambers of Commerce (BCC), praised the Chancellor’s package of ‘responsible, solid and focused’ measures, stating: ‘Increased resources for local and regional transport infrastructure, broadband, housing and innovation will boost business confidence at a critical moment. Meanwhile, Frances O’Grady, General Secretary of the Trades Union Congress (TUC), commented on the forecast for wage growth issued to the government by the Office for Budget Responsibility (OBR): ‘Today’s OBR forecast shows that the average annual wage will be £1,000 lower in 2020 than predicted at the Budget. And this is on top of wages still having not recovered to their 2007 levels. Carolyn Fairbairn, Director General of the Confederation of British Industry (CBI), welcomed the Chancellor’s announcements, saying: ‘The Chancellor has prioritised a pragmatic down payment on future productivity growth. His emphasis on R&D, housing and local infrastructure will help businesses in all corners of the UK to invest with greater confidence for the long-term, during turbulent times. This will be warmly welcomed. The latest forecasts from the Office for Budget Responsibility (OBR) confirmed an increase in borrowing, which is now forecast to reach £68.2bn this year. Economic growth is expected to initially rise marginally to 2.1% for 2016/17, but then reduce to 1.4% in 2017/18. The ‘Brexit effect’ is expected to impact on economic growth to the tune of 2.4%. Mr Hammond swept away predecessor George Osborne’s fiscal targets, announcing a new draft Charter for Budget Responsibility. This replaces the aim of balancing the books by 2020 with a pledge to deliver a surplus ‘as early as practicable’ in the next Parliament. The Chancellor proposes to do this by prioritising investment in UK infrastructure and innovation, and announced the creation of a new £23bn National Productivity Investment Fund (NPIF). The Statement addressed a number of other significant measures for businesses, including confirmation that corporation tax will be reduced to 17% as planned, together with the implementation of the business rates reduction package. In other announcements, from April 2017 employee and employer national insurance thresholds will be aligned, and salary sacrifice schemes will be scaled back. The National Living Wage and National Minimum Wage will also rise with effect from April 2017. 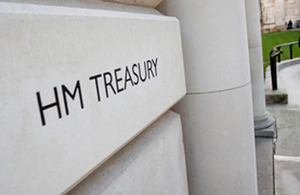 The government’s plans to raise the income tax personal allowance to £12,500 and the higher rate income tax threshold to £50,000 by 2020/21 were also confirmed, while a new NS&I Investment Bond will be launched for savers. Other announcements include further measures to counter tax avoidance, an increase in insurance premium tax (IPT) from 1 June 2017, and a freeze on fuel duty for the seventh consecutive year. Marking a major change to policy-making processes, the Chancellor also announced that his first Autumn Statement would also be his last: 2017 will see the final Spring Budget, as from that point on the main Budget will be held in the Autumn. The Financial Conduct Authority (FCA) has warned that continuing record low interest rates are leading many people to take risks and to potentially make bad investment decisions as they search for a decent return on their savings. In its annual Business Plan – a document which broadly sets out the authority’s objectives across the areas falling within its remit – the FCA outlined various concerns about the financial state of the country, including low interest rates. It warned that, with a typical savings account currently paying just 0.33% in interest, many savers could be tempted to expose themselves to high levels of risk as they seek to find vehicles that will offer a greater return. The FCA also sought to caution pension savers when rules come into effect in April 2017, allowing them to sell their existing annuity or retirement income for a lump sum in a new secondary market. It said: ‘There are several risks we need to consider, for example, the risks of mis-selling and poor value for money for consumers, particularly those with small pension pots and the risk that our interventions undermine competition or stifle market development’. The Business Plan also contained warnings for financial firms about the ‘inevitability’ of cyber-attacks. The regulator did welcome the increasing availability of innovative financial vehicles such as crowd-funding platforms, saying: ‘While the proportion of the market accounted for by crowd funding platforms is relatively small, it may grow and become a more significant issue, highlighting the fact that innovation can drive competition’. However, the FCA then pointed out that such innovative platforms ‘also come with new risks’ and were not all covered by its regulatory remit.